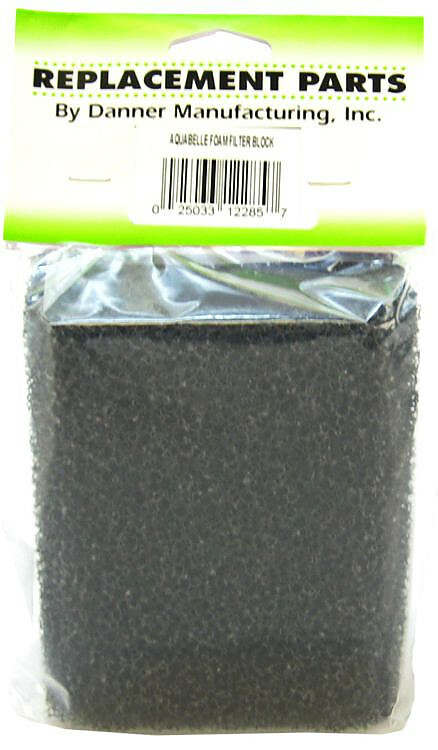 Pondmaster Mag Drive Pump Square Sponge Prefilter works with the Pondmaster Mag-Drive Pumps. 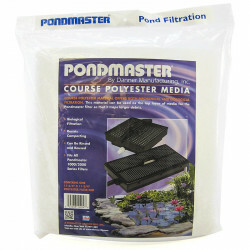 Pondmaster Foam Pre Filter helps prevent rocks, sticks and debris from being sucked into the pump. 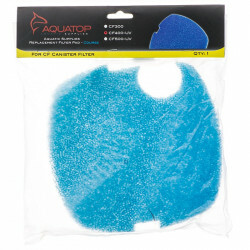 Pondmaster Pre-filter prevents damage to the impeller inside the pump. 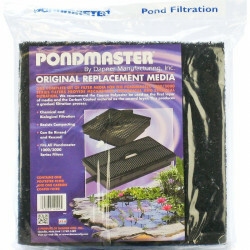 Pondmaster Pump Prefilter will also screen out green algae, string hair algae, fish waste, leaves and more! Inner diameter of inlet: 1"
Dimensions: 3.25" x 4.5" x 5.5"
Inner diameter of inlet: 1-1/8"
Just what was advertised. Received it even before I was expecting. Will order again when the need comes up. 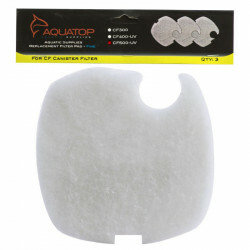 I bought this filter to replace my fountain's filter that had fallen apart from 10 years of use. This filter was about 2 inches wider and longer than the one I had but I am finding that I don't have to clean it out nearly as often as I had with my older filter. It works better than what I had and I am very pleased with this purchase. I not only was pleased witih my pre-filter but I was also very pleased with how easy it was to find the filter I needed, and how quickly it was sent. I highly recommend using a pre-filter on your pumps, so trash doesn't go into the pump to damage the propeller. The replacement cost of a propeller is higher than the cost of a pre-filter, and your damaged propeller could also damage the pump. I got my order shipped in a timely manner, and have never had any problems with shipments from Pet Mountain. Just what I was looking for at a much better price than I could find locally. Add to that the quick shipping and I am very pleased. We have been using these sponge pre-filters for many years. they work great and save a lot of wear and tear on the pump. changing them is very easy.